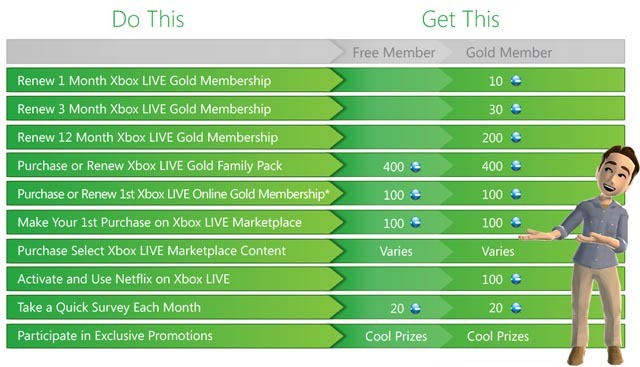 Microsoft Points are becoming a valuable resource. There are so many websites claiming “Free” Points, but they are 99% fraudulent. Microsoft has created the XBox LIVE Rewards Program to reward users for doing what they already do: use XBox Live. There are also ways to earn points without spending a dime, doing a monthly survey. It’s free to join, what do you have to lose?